Here’s a quick intro to MMM and notes on using the Text Engine to add Captions and Headlines to your animations! Check out LearnMMD.com for more tutorials! MikuMikuMoving is new on the scene! It uses the same models, accessories and effects as MikuMikuDance. It has an all new GUI (control panel) and a few new tricks … like the Text Engine! … and the ability to use Mp3s! Model “Cyber Mecha Sonic” by me, FicticiousAnimation. Pose from “Reggie’s Little Pose Collection” by Reggie Dentmore. 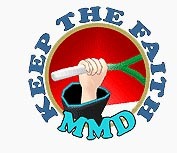 Download from the LearnMMD Downloads page!